The recent standoff between two leading judicial lights, Jonathan Sumption and Stephen Sedley, may make for entertaining reading, but don’t be fooled. Like the heated question of whether a non-entrenchment clause could be dug into our law to protect UK parliamentary sovereignty, this one wasn’t about law, or even constitutional theory; it was essentially about differing ideological positions vis a vis judicial power. Joshua Rozenberg welcomes Sumption’s latest speech as indicative of his supportive stance on judicial activism, particularly in the foreign policy sphere. I don’t agree. In his FA Mann Lecture last November Sumption pinned his colours to the mast on judicial activism in general, and this latest fascinating survey of foreign policy case law illustrating the retreat of judicial deference must be read in that light. the operations of government in the domain of foreign policy and intelligence-gathering, have aroused intense distrust and suspicion in the press…This distrust is not easy to dispel without compromising the confidentiality of communications with foreign governments and the secrecy that is bound to protect intelligence work if it is to be effective. to challenge in the courts by pressure groups, often concerned with a single issue, which have no interest in the process of accommodation between opposing interests and values that is fundamental to the ability of nations to live in peace. Al-Skeini and Al-Jedda were concerned with the impact of military operations on the particular complainants, although the application of the Convention to all territory where the United Kingdom is an occupying power will inevitably mean that policy decisions about the conduct of the occupation will fall to be reviewed in circumstances where they would not have been before. He also comments upon another rule of deference that seems to be in retreat, the Foreign Act of State doctrine, which is based on the principle of comity that the courts of one country will not sit in judgment on the sovereign acts of another, even though they would be perfectly competent to do so if it was relevant. This doctrine, along with the non-justiciability theory, no longer exercises a restraining influence. Courts unhesitatingly pronounce on the legality or otherwise of foreign states’ actions – Abbasi v. Secretary of State for Foreign & Commonwealth Affairs  EWCA Civ 1598 (and see my posts on our judicial finger-wagging at other countries here and here). what is remarkable about the [Binyam] case is the palpable anger of the courts about the position in which they had been placed by the insistence of the Americans on maintaining a confidentiality to which they were certainly entitled under the Anglo- American intelligence cooperation arrangements, but which the English courts considered to have no purpose other than to suppress embarrassing facts. It may be true that the judiciary cannot permanently thwart the objectives of government in its foreign operation, but it can certainly make a nuisance of itself, as it did here. There is no suggestion of support for the direction of travel in this speech. 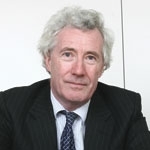 What Sumption does is to acknowledge that the government’s power to withdraw certain classes of cases – and material – from the courts’ jurisdiction is so fraught with difficulty that even the widespread political reaction to unpopular human rights decisions will not restrain the courts’ readiness to intervene in the moral maze of foreign affairs. Should UK courts pass judgment on other Convention countries?